Praise dancewear, worship dance attire, Dance Fashions Warehouse, worship dance dresses, praise dance dresses, christian dance wear, mens and boys praise wear, praise tunics, praise overlays, liturgical dance dresses, worship pants, worship tops, flamenco dresses,spirutial dance wear, cheap praise wear in Atlanta. - 551 Leather Jr.Footlight. 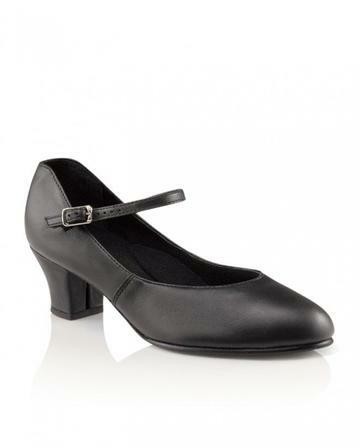 A geniune leather version of the Jr. Footlight, this shoe is compatible with most Capezio taps. With a scored leather sole and a strong, 1 1/2" plastic heel and a leather lift, this shoe is comfortable and durable. Great for stage, tap, jazz, polka or high-kick routines. Refer to the Tap Fitting Guide: Jr Footlight to find the size and style of tap that best fits this shoe.